Three new games have been added to the latest Humble Mobile Bundle, titled the Crescent Moon Bundle, with the games being Slingshot Racing, Clash of Puppets, and Aralon: Sword and Shadow. For those still new to the Bundle scene, users pay what they want for a predetermined amount of games, but if you pay the average price or more, which is currently set at only $7, then you gain access to all of the games in the bundle, totaling 11 as of this moment. 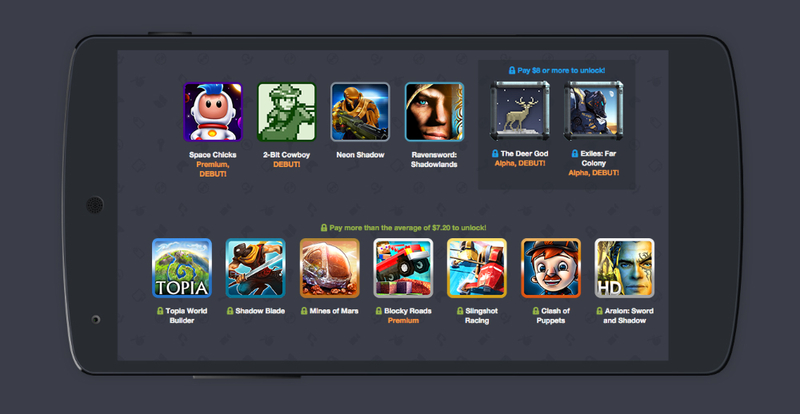 If you are feeling really generous, $8 will score you 13 titles, which is one heck of a deal. The money can be split however you choose, between developers, Humble Bundle, and selected charities. It’s a good way to get the games you love, but also give a little back this holiday season.